Equilateral will bid to redeem his reputation in the bet365 Hackwood Stakes at Newbury on Saturday. Charlie Hills has made no secret of the regard in which he holds the Khalid Abdullah-owned three-year-old, but he failed to live up to expectations in the Commonwealth Cup at Ascot. Having beaten subsequent three-time winner Foxtrot Lady by eight lengths when giving her 12lb at Doncaster, Equilateral was one of the big hopes for Royal Ascot but had a valid excuse for his lacklustre effort. “He returned from the Commonwealth with a dirty scope, it was filthy, so he had an excuse,” said Hills. “He’s done a couple of pieces of work since then which have been very encouraging. “This looks a nice little spot for him. It obviously means taking on older horses, but there are a few there who ran nice races at Ascot. “If he can repeat his Doncaster run, where he beat Andrew Balding’s filly easily giving her weight, he should be involved. Another who disappointed in the Commonwealth Cup was James Tate’s Invincible Army, in what was just about the first poor run of his 10-race career. He was declared for the July Cup last weekend, but was pulled out on the morning of the race as the ground was too firm. “Basically he seemed to have an off-day at Ascot, just like my filly who won in France this week (Second Generation), so you can forgive him for that,” said Tate. “James Doyle rode him that day and he did think the ground was just a bit quick for him, so we’re hoping it’s not razor fast at Newbury. “It would be great if they got the odd shower, but at least they have had some rain in the last week or two, which Newmarket hadn’t had for weeks. 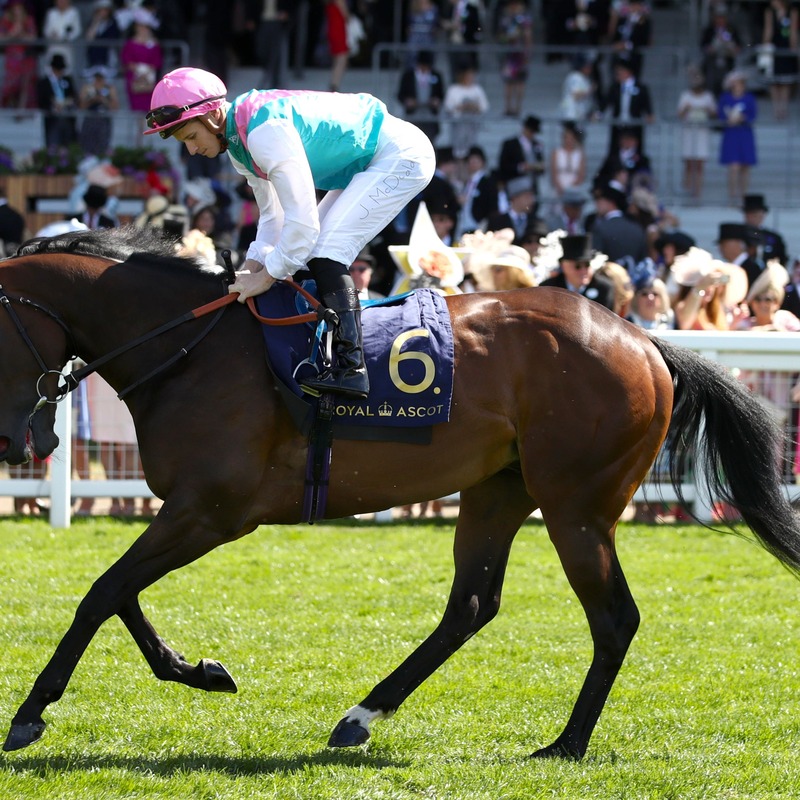 “We took him out of the July Cup, which was obviously an incredibly competitive race on very fast ground, and this is dropping back to a Group Three. Sheikh Hamdan Al Maktoum has two runners in Owen Burrows’ Enjazaat and Richard Hannon’s Yafta. “Yafta is ultra-consistent and I think he’s still improving,” said Angus Gold, racing manager to the owner. “He’s from a late-maturing family and he’s got a tremendous will to win. I’m a big admirer of his. “He ran well at Newcastle when beaten by an older horse (Above The Rest), we’re just never sure what his trip is. “He ran over six on the Rowley Mile when he stayed on as if he wanted further and the same thing happened over seven. His pedigree is all speed though. “On the other hand Enjazaat is a frustrating horse. We thought we’d traced the problem last year to his wind, so we did that. “He ran a great race first time out at Ascot, but then back there at the Royal meeting, he ran no race. Brian Meehan’s Bacchus, who won the Wokingham at Ascot, and Roger Charlton’s Projection are other major contenders.